I just returned from Glendale, California and was thrilled to visit while there, MONA, The Museum of Neon Art, a tiny but very special museum which not only features exhibits of neon art, but offers special classes. The classes feature the making of neon art and the bright lights of the neon in the exhibitions appeal to all ages. The gift shop at MONA had many books on the history of neon and I purchased a couple. A very appealing book titled "Flickering Light" by Christopher Ribbat features the famous "Eat" sign on the cover. According to the author of the jacket cover, "Neon signs exemplify the ambivalence of modernity. For some observers, these glowing tubes stand for crass commercialism and seedy back alleys, while for others they light the way to the very heart of popular culture. Energized by this tension, "Flickering Light" traces neon's technological, social and cultural history, from its beginnings in a late 19th century London laboratory through its ubiquitous status in the world's urban landscapes to its blinking presence in our contemporary art spaces." "Flickering Lights" follows writers such as Vladimar Nabakov and Nelson Algren and artists including Tracey Emin and Lazlo Moholy Nagy through illuminated streets; it explores the neon songs performed by Peggy Lee and others. Literature, music and film turned a pulsating advertising device into a powerful metaphor of modernity. Neon was developed as an advertising technique to attract folks to hairdressing salons, cinemas and department stores, but when the signs lost their charm of the new, they became a symbol of urban decay, the lights shining on the seedy parts of town. Christina Chastain’s article about the exhibition says that the title, "Memory and Desire" is taken from another St. Louisan, T.S. Eliot's "The Waste Land" which is full of dichotomies and trivia from a time before. The artist Hutson says, "We are recognizing and rediscovering an urban landscape through these signs and places that have since closed and the signs are left, which is really their personality, is really what called people to those businesses. So this exhibit isn't really just about neon, it's also about St. Louis and times past. It's kind of interesting to see something that was in the everyday lives of the people who came before us if you're from St. Louis or have an appreciation for the city." Hutson also points out that neon goes through renaissance periods and we're in another one right now. He says, "People seem to rediscover neon. And I think one thing that drives it is that we forget how it works or we don't know how it works and it's always fun to find out how things that are a little bit mysterious, like neon, works." Many well-known visual artists use neon in their work such as Bruce Nauman and Glen Ligon, and Joseph Kosuth says he was originally attracted to the conceptual potential of neon. When Kosuth and his contemporaries started working with neon in the 1960's, it was just another commercial medium. It demarcated exits and entrances, announced peep shows and advertised pit stops. In the hands of artists, neon became an emblem of urban life and commercialism. I dragged my husband on a Route 66 road trip and every last broken piece of a neon sign thrilled me. I found myself listening to Conway Twitty singing, "A Rainy Night in Georgia" with lyrics -- neon lights a flashin', Stonewall Jackson's "Neon Lights" with lyrics -- The neon signs and bubbling wines took my place in your heart, and Brooks and Dunn's, "Neon Moon" with lyrics -- I spend almost every night beneath the light of the neon moon. The neon lights in Las Vegas and Times Square haven't lost their special glow and our own Grand Center is beginning to glow brighter and brighter with each additional neon light. 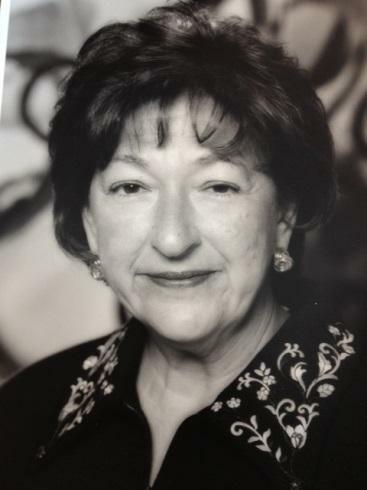 Nancy Kranzberg has been involved in the arts community for more than thirty years on numerous arts related boards. I picked up a copy of "The Pharaoh's Treasure: The Origin of Paper and The Rise of Western Civilization" by John Gaudet. What a fascinating read it was. Gaudet in his author's note says, "When is paper not paper? Many modern dictionaries and writers reserve the term paper for modern paper made from wood and rag pulp. Since paper made from papyrus was made with thin strips rather than from pulp, it is often placed in the category of "writing materials," and falls outside the modern classification for paper, even though the Victorians called it "natural paper."